Good morning everyone! Just a little card today to bring a bit of sunshine to your week:) I'm using a couple of sets from the new Avery Elle release, Simply Said You die and stamps & Dotted Borders dies! 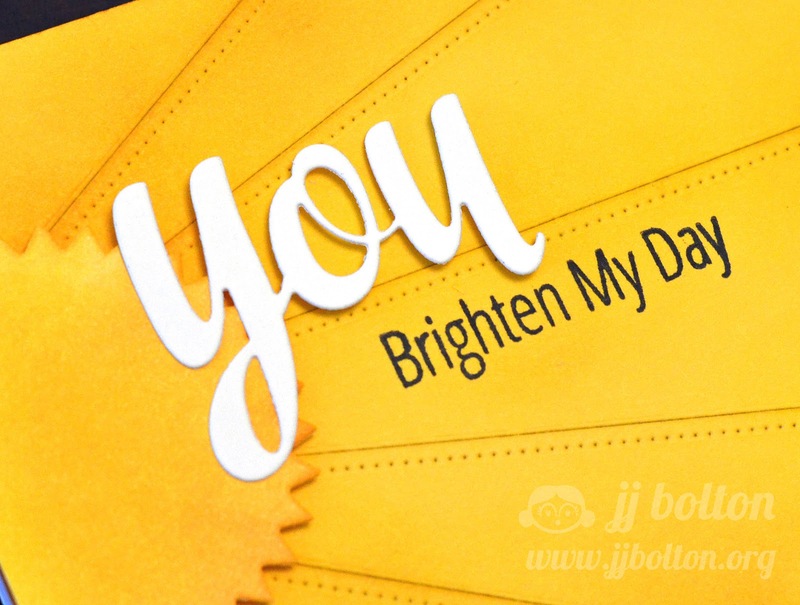 This card combines so many of the elements I love: sunshine theme, word dies, and border dies. I usually do vertical cards, but I thought it rotate it for a different perspective. Because the card background is just one color, I blended a bit of yellow and orange ink onto the sun and the rays to give them some depth. This helps you avoid that flat look that you get with color card stock. The "sun" is adhered to the card with foam tape and I glued the "you" die cut to it. On the "y" side of the word die, I glued it straight to the sun, but the "u" side is glued to the card base with foam tape. This keeps everything level. Thanks so much for stopping by today! I hope you are having a beautiful week! Great card. I'm going to use this idea in a card for my Grandson because he definitely makes my days brighter! WOW! Really striking card, JJ! 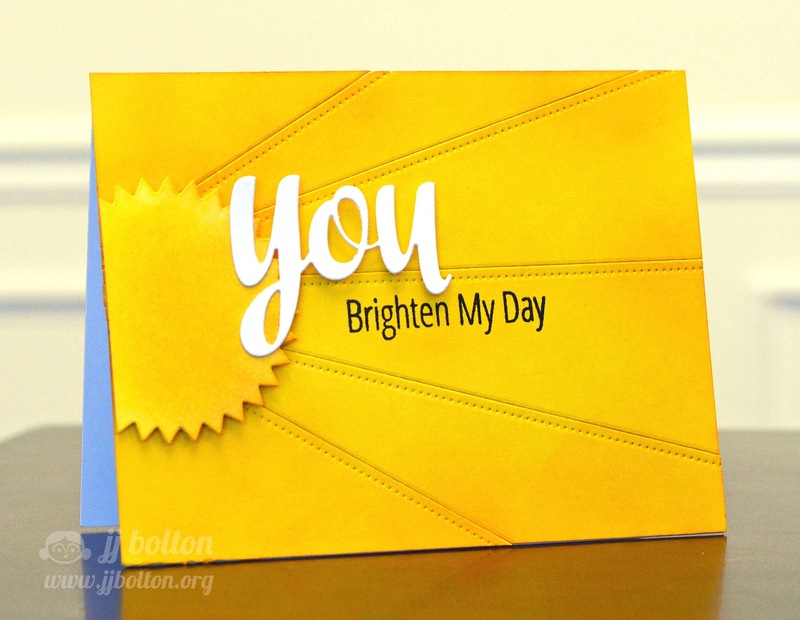 I love the bold yellow and that you chose white for the die cut sentiment...Genius and downright gorgeous!!! Beautiful, bright sunshine! I love that you ink blended to give it depth. Perfect ray angles too!